Men's Titanium Celtic Ring : LOVE2HAVE in the UK! 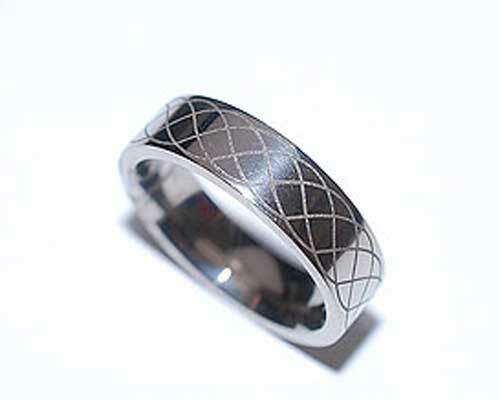 A flat profile men's titanium ring from our Celtic laser collection. This particular ring features a subtle sine wave styled outer engraving. The wave pattern is in fact based on the Celtic triple helix or three phase shape. Maybe this ring would appeal to those with a scientific interest, but we think it is stylish enough to appeal to most men with its understated looks. It measures 6mm in width and comes in a polished finish. The designer tells us that other widths are available also so, please contact us for further details.